A sign protesting the Northern Pass pipeline was posted close to Colebrook, N.H.
To many critics, the fate of Eversource’s Northern Pass power line through New Hampshire was sealed when it lost a pivotal deal to deliver electricity to Massachusetts. Eversource, it turns out, isn’t ready to pull the plug. The company is waging war against its opponents in a bid to overturn the 2018 permit denial that doomed those valuable Massachusetts contracts. The venue: New Hampshire’s Supreme Court. The utility just submitted its last brief to the court on Wednesday, responding to concerns raised by several environmental groups. Oral arguments are scheduled for May 15. When Northern Pass ran into permitting difficulty, the Massachusetts contracts went to the backup option, NECEC. These contracts would bring hydropower our way from Hydro-Quebec to fulfill a 2016 Massachusetts law requiring major utilities to buy more clean energy. Losing those contracts should have been Northern Pass’s death knell. But it wasn’t. Eversource maintains the New Hampshire Site Evaluation Committee’s review was incomplete, that the panel should not have stopped short its decision-making by ruling that the $1.6 billion project failed to meet one particular criterion involving the potential economic impact. The company also says the committee failed to properly weigh all the project’s benefits — property taxes, reduced electricity prices, jobs — against the detriments. Bill Quinlan, Eversource’s New Hampshire president, says the committee failed to follow the proper procedures for this kind of a decision. Even if the court agrees, there will be more hurdles to clear. The case would then go back to the committee that rejected Northern Pass the last time. Governor Chris Sununu is an important ally. But many committee members — including, most notably, state utilities commission chairman Martin Honigberg — predate Sununu’s tenure. Then there’s the issue of financing. Massachusetts has already committed to the Maine route, as well as contracts for offshore wind turbines. Connecticut, in a parallel process, largely bet on nuclear power, augmented by wind and solar. However, Quinlan says Eversource doesn’t need a state-backed auction. He envisions using a long-term lease with Hydro-Quebec to finance Northern Pass instead. The demand in New England, he says, remains high for the consistent power that Hydro-Quebec can provide. From his perspective, two giant transmission lines through northern New England can thrive, carrying hydropower south on parallel paths. We’ll have to see about that. Melissa Birchard, a Conservation Law Foundation attorney, calls this Supreme Court fight a “last-ditch legal appeal” from a zombie project that should remain in the grave. (CLF recently threw its support behind the Maine project.) 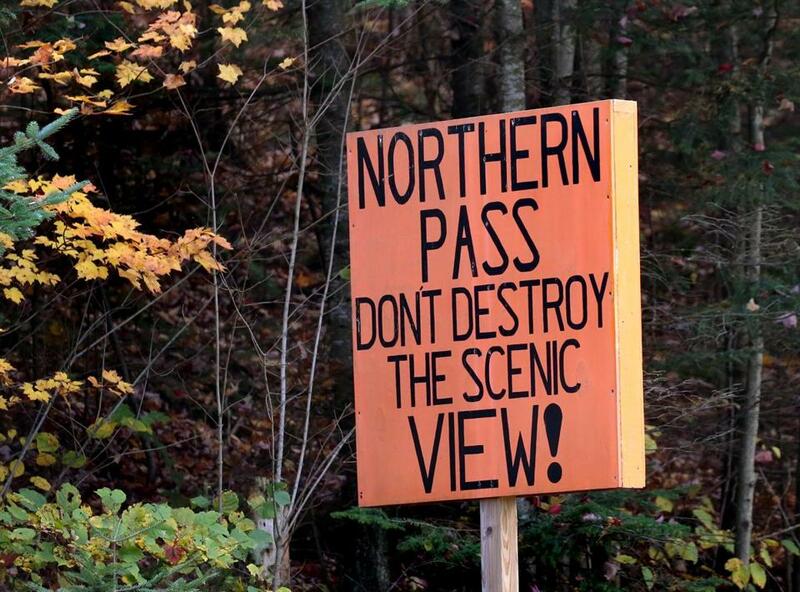 Even if the Supreme Court resurrects Northern Pass, she says, the public opposition hasn’t gone away. Some of that criticism comes from municipalities along the route that argue the extra property taxes aren’t worth the hassle. Concord deputy solicitor Danielle Pacik says a dozen communities banded together with her city to fight Northern Pass because the overhead towers would hurt the state’s rural character. About a third of the 192-mile route would go underground, but Pacik says the construction in those places would significantly disrupt tourism traffic. Despite the obstacles, it's hard to blame New England's largest utility for not giving up. Northern Pass has been in the works for nearly a decade. As of the end of 2017, the utility had spent $277 million on the project. And it was a driving force behind the 2012 merger that created Eversource: Northeast Utilities and NStar had been partners on the project, and decided to take their relationship to a new level. It can be tough to let go. But Eversource might not have any choice if the company can’t persuade the court to keep its pet project alive.